Show your love of your feline friends with these cute kitty shaped earrings! 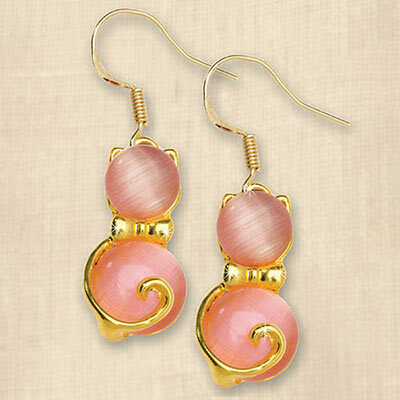 Glittering gold-tone setting holds shimmering oval beads that make up the cat's head and body. Makes a paw-some gift! 1½"l.